Dealers for Back Cove: Practical Elegance. From Maine. Dealers for Sylvan: Head-Turning Luxury. Mind-Blowing Performance. Petzold’s Marine Center, headquartered in Portland, CT is located at mile marker 99 along the scenic CT River. We also have satellite offices in Norwalk, CT and Point Judith, Rhode Island. 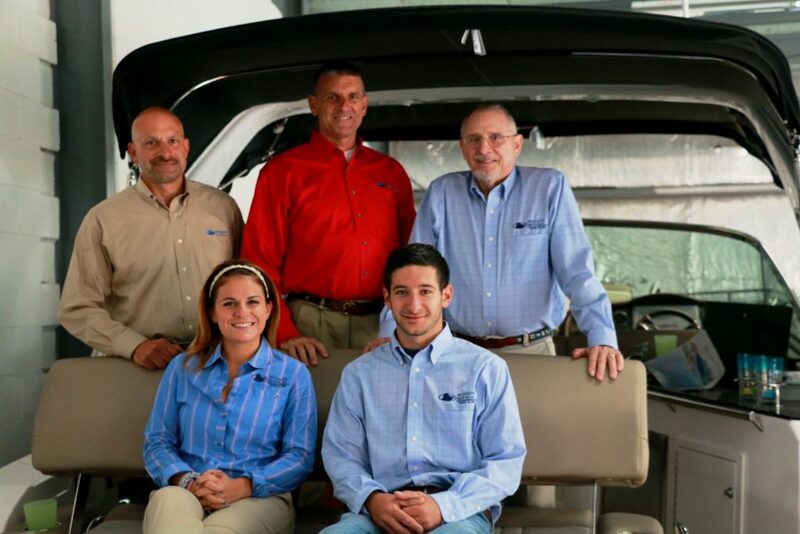 We are proud to represent Sales and Service for New and Used Sabre & Back Cove Yachts, Regal and EdgeWater power boats, and Sylvan Marine pontoon boats. Our 14,000 sq. ft heated showroom is one of the largest in New England! You can shop in comfort while browsing a minimum of 24 new models up to 50 feet on display. We have a solid reputation as a first-class yacht sales organization with a long successful track record of sales throughout the region. We strive to make the purchasing process simple and enjoyable in our relaxed and low-pressure environment. Our talented sales team can offer a wide range of brokerage services including financing companies, insurance agencies and marine surveyors. Petzold’s Marine Center is also one of the area’s top marine technical service providers. Our staff is factory trained by Volvo, Mercruiser, Yanmar, Kohler and Crusader. We provide a wide range of boat services, from seasonal commissioning and decommissioning, winter storage, summer slips, engine repair, repowering, custom canvas, electrical installation or customization. Along with a custom canvas shop, Petzold’s has a 3500 sq. ft Ship’s Store stocked with all your boating needs. We can meet or beat most discount store prices. Combining our acclaimed boat product lines and large inventory of quality pre-owned boats with our professional sales team and unparalleled service technicians, Petzold’s Marine has earned respect and the reputation as one of the premier yacht sales and service centers in the Northeast.